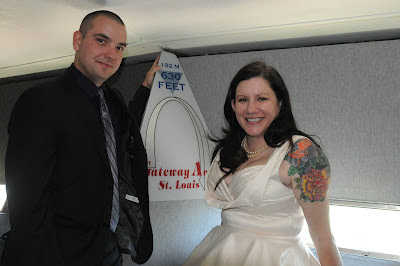 We were married at the top of the Gateway Arch on 9-9-12! You can see all of the photos here at our blog, Craves, Caves & Graves. Our wedding reception was at the Magic House in Kirkwood on 3-30-13, and we'll post pictures here as soon as we get them!